Bacterial diseases are the main cause of high economic loss in aquaculture, particularly gram-negative bacteria. This study was conducted for the isolation and identification of Aeromonas and Pseudomonas spp. from diseased fish. 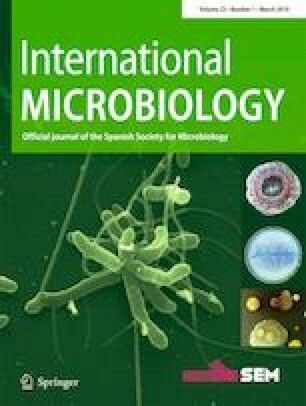 Twenty-two Aeromonas and sixteen Pseudomonas isolates were recovered from diseased Nile tilapia (Oreochromis niloticus) raised in eight earthen ponds in Elhox, Metoubes, Kafrelsheikh, Egypt. The recovered isolates were further identified using PCR as 22 Aeromonas hydrophila, 11 Pseudomonas aeruginosa, and 5 Pseudomonas fluorescens isolates. The 22 A. hydrophila isolates were screened for the presence of four virulence genes. Sixteen of the isolates (72.72%) were positive for the aerolysin gene (aer); 4 (18.18%) harbored the cytotoxic enterotoxin gene (act); and 2 (9.09%) carried the hemolysin A gene (hylA) while the cytotonic heat–stable enterotoxin gene (ast) was absent from all the tested isolates. The pathogenicity test indicated the direct relationship between the mortality percentage and the genotype of the tested A. hydrophila isolates as the mortality rates were 63.3 and 73.3% for isolates with two virulence genes (aer+ & act+, and aer+ and hylA+, respectively), followed by 40, 53.3, and 56.6% for isolates with only one virulence gene (hylA, act, and aer, respectively) and 20% for isolates lacking virulence genes. Based on the sensitivity test, the multi-antibiotic resistance profiles were as follows: 90.9% of the A. hydrophila isolates were sensitive to florfenicol and doxycycline; then 68.18% were susceptible to oxytetracycline, norfloxacin, and ciprofloxacin; and 63.63% were susceptible to sulfamethoxazole-trimethoprim, while only 27.27 and 4.5% were sensitive to erythromycin and cephradine, respectively, and all the isolates were resistant to amoxicillin and ampicillin. The fish used in the current research were handled, transported, and examined following the guidelines of the National Advisory Committee for Laboratory Animals Research (NACLAR 2004) and CCAC (2005) for the care and use of fish in research, teaching, and testing which were applied by the NIOF ethical committee.